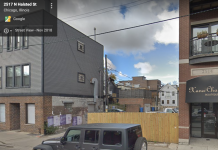 A vacant lot at 9401 S. Stony Island Ave in Calumet Heights will be turned into a seven-story subsidized seniors apartment building with a building permit value approaching $30 million. Crane Construction/Riteway-Hug is listed as the general contractor for the 134-unit structure. 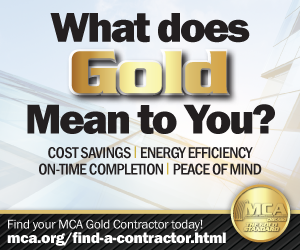 Key subtrades include: Electrical – Bonus Electric and Pioneer Electrical Contractors; masonry – Dunigan Masonry Const. Co.; plumbing – Warren F. Thomas; and refrigeration and mechanical – A & H Mechanical. 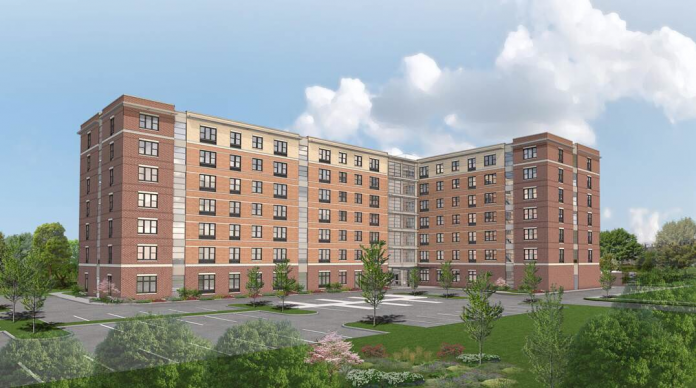 Chicago City Council approved financial support for the project planned for seniors 62 and over by Montclare Calumet Heights LLC during the summer. City support includes a a $9.6 million loan, $3 million in Tax Increment Financing, and a $1.3 million loan from the Chicago Low Income Housing Trust Fund, which will also provide rental assistance for 26 units. An additional 34 units will receive rental assistance from the CHA. 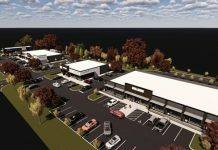 The seven-story building will consist of one- and two-bedroom apartments, a community meeting room, fitness center, media room, library, computer lab, beauty salon, laundry room, and other amenities. 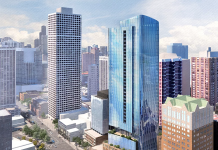 One hundred four of the units will be made available to tenants earning up to 60 percent of area median income, and the rest will be offered at market rates. The permit has an estimated $29,386,797 cost.